Concerned your toddler or preschool age child is eating non-food items? It could be Pica. I knew something was wrong when my two-year-old began eating paper. She wasn’t just mouthing books, she was actually chewing and swallowing the paper. Her doctor first brushed it off as a phase, but then she started eating it to the point of throwing up- and began eating lotion too. Finally, a few weeks before her third birthday, her doctor agreed something was wrong. 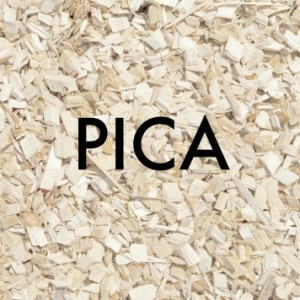 What is pica and what causes it? It’s not uncommon for infants and toddlers to explore their world with their mouth. Babies will often find things to chew on when growing new teeth. Pica is a disorder that goes beyond normal and healthy developmental behaviors. It is characterized by the craving to eat or mouth non-nutritive substances for at least one month, beginning when children are around 18- 24 months. It is common for children with mental difficulties to display pica behavior. Children can have pica with almost anything, including dirt, hair, ice, paper, paint chips, chalk, and wood. There are several theories on why toddlers and preschoolers develop pica. Hunger, nutrient deficiency, defense against harmful toxins, obsessive-compulsive disorder (OCD), and soothing emotional stress have all been linked to pica. If at any time your child ingests something potentially toxic, contact Poison Control immediately at 1-800-222-1222 or go to your nearest emergency room. After a pica diagnosis, your doctor should order blood work to test for nutrient deficiencies such as iron and zinc. In several studies, supplementation or change in diet stopped the pica behavior in nearly all children that had deficiencies. You should also ask to have your child screened for lead poisoning, infections, and other toxins especially in children who have a pica for paint chips, dirt, clay, or feces. Additional tests and exams may be needed to check for obstructions. My daughter had an x-ray to make sure she had not swallowed any staples or paperclips because she had a pica for paper. If your child has pica not related to nutrient deficiency, other action is necessary. Although some experts suggest aversion therapy (mild punishment), this can be ineffective on children who have pica for soothing or OCD reasons (personal experience). A negative or overreaction to pica behavior can cause greater stress and increase the cravings. There are several things that can help distract a pica episode. Ask if they are hungry or rather just bored. If they are hungry, let them help prepare a healthy snack with a similar texture of their pica craving. For a paper craving, try cooked pasta; for wood, try crunchy vegetables; for paint chips, try sweet fruit; and for dirt, try cooked peas. If they are bored, find something fun and distracting to do such as reading, a craft, or playing with a long-forgotten toy. Help identify the emotion they are experiencing and suggest other ways to cope. For instance, when my daughter was angry, having her hold my hands and jump up and down helped release the negative energy she had. When she was excited, having her draw a picture about what she was looking forward to help refocus her energy. Look for other things to distract them. For children with strong oral needs, finding a substitute might be necessary, such as chewing gum, oral sensory toys, or sipping from a straw. Keep a log of your child’s pica, emotions, and events surrounding cravings. I found this to be helpful in identifying triggers. This is how I discovered my daughter would exhibit pica behavior when anxious or excited. Knowing triggers can help prevent an episode. It can also help teach coping skills. Teachers, grandparents, and other caregivers need to know about your child’s pica and treatment. Let them know possible triggers. Explain what they should do during a pica episode, including ways to prevent or distract from inappropriate eating behaviors. Be sure they have the poison control phone number and know when to call. Knowing your child’s triggers can ease the uncertainty felt by both you and your child. 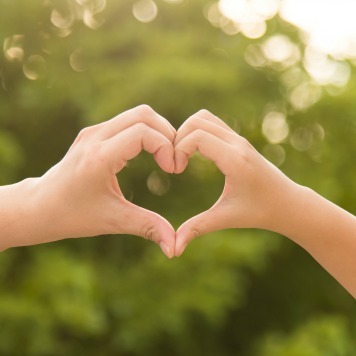 Having a plan and communicating clearly to other caregivers is the key to success in managing your child’s pica. Visit our nutrition concerns section to learn more about prevention and treatment of nutrition issues. How long must a non-nutritive craving or mouthing last to be considered pica? What are two nutrient deficiencies that have been linked to pica? Tara Hovis is a wife and mom of three living in Michigan, and a student currently pursuing a BS in nutrition at Kansas State University. She has experience in nutrition writing and research. Tara enjoys creating delicious, whole-food meals that accommodate the various food intolerances in her household.